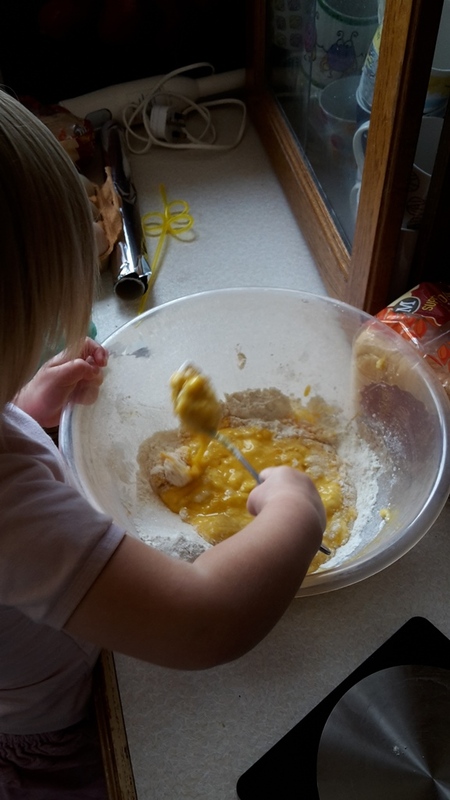 There are few better things that you can do with a little one than baking. In my experience they love it. 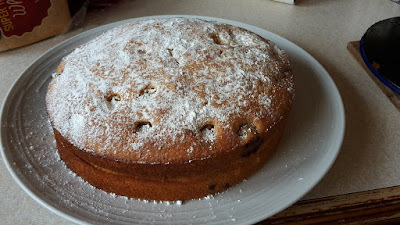 The youngest was so proud of her cake and loved telling her mum that she'd helped with it. Also a raspberry cake like this is a great way of using up some of the raspberries! 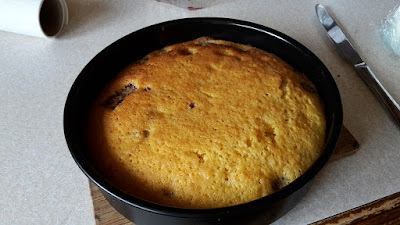 Really easy recipe, just a standard sponge mix with 200g of raspberries added in at the end and a couple teaspoons of vanilla essence., tastes amazing though! That does look lovely. 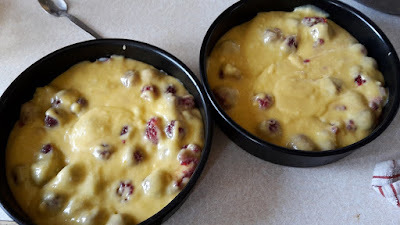 We were given some raspberries the other day and ate them with a slice of homemade Bara Brith and some custard, over two nights! I do love a bit of bara brith and jam myself! Those homemade raspberry cakes look great Kevin and girls! I suppose they taste so good too:) Wonderful fun and early training for your two lovely girls...what you invest on your children now, will all pay off later too! Yeah - hopefully lots of homemade cakes! We are a little addicted to a good cake or three! It looks lovely. 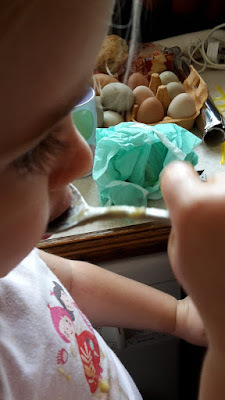 As well as baking a cake, which in itself is a wonderful achievement you also gave your little one a valuable maths lesson and a science lesson, and to top it all a wonderful sense of pride at helping to feed the family. 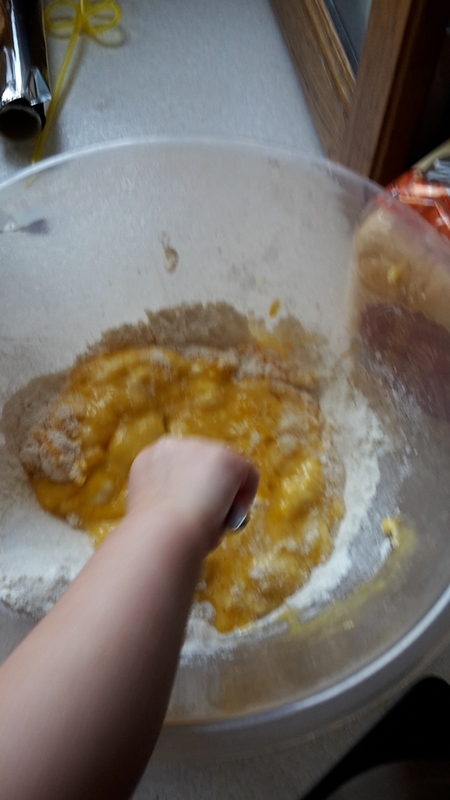 Magical memories of baking with Dad too. She loves it. "I stir" she told everyone she met later in the day! It was! Didn't last long though! A cake here has a short life expectancy! Two days it was gone! We popped over to UK recently, and I met my 5 yr old grand-niece for the first time. I gave her a pinny, ovengloves and some little tins for a present as I heard she likes to bake with her mummy - apparently she was thrilled and wanted to post me a fairy cake! Well done to you - a valuable time well spent! Mine have always taken great interest in cookery and still love their little toy kitchen I built them. How sis the fairy do in the post!?! All children should be given this opportunity' it's an important part of their education. Well done. I think it's much more important than some things they're taught in school, after all we have to eat three times a day! Camera Troubles - What Compact Do You Have? Could A Robot Take Your Job?